The only way to achieve 5* classification with > 3500 reviews is passion and knowing Porto really, really well. Our team are all locals & are passionate about showing you our city. As guests in our city, it's not enough for us to just point out a famous building or touristy place to eat. We want to show you our favourite eating & drinking spots, tell you our favourite folk stories & bring the city's rich history alive. We want you to have an authentic experience, interacting with locals & seeing how we live. 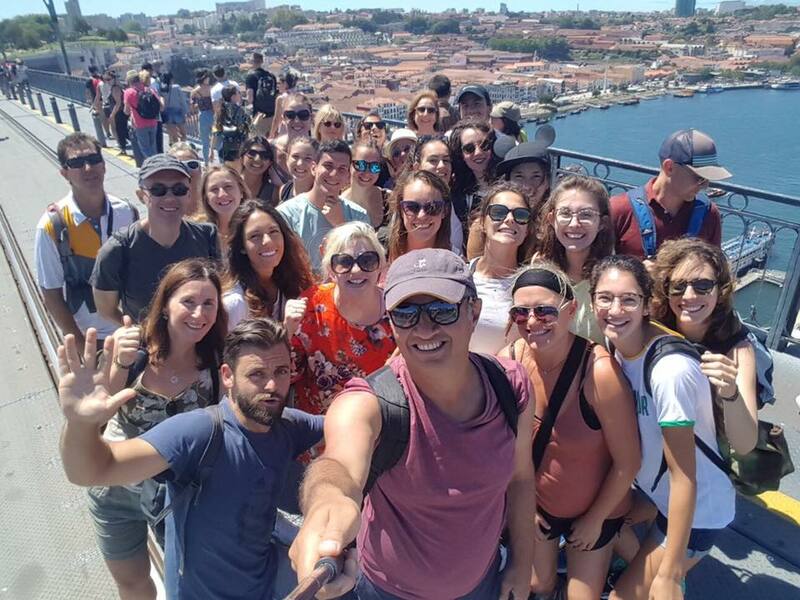 You will have a lot of fun on whichever tour you take, whether your trying Portuguese petiscos, A Reserve Tawny in the Port Cellars or surfing down at Matosinhos. What 10 years ago was barely visited by foreigners has now become one of Europe's most popular destinations. Porto's charm, friendliness & beauty has always been known to us, but we are glad that the rest of the world seems to now agree! €27 | 7 Port wines tastes at 3 wineries in Gaia. €40 | 3 hour guided food-tasting & walking tour. BEST PRICE IN TOWN FOR A TAPAS TOUR EXPERIENCE! €13 | 3 bars, 1 nightclub, 5 drinks & 1 crazy night out.